Ubivox gives you the ability to update a group of recipients, so that you can seperate them from the rest of your list by using the segmentation function. This can, for instance, be used if you want to write to everyone who has clicked a specific link in Ubivox or to customers that have bought a certain product in your webshop. In order to segment your recipients, you first have to make a data field that identifies them. Go to Lists & Subscribers§ > Subscriber data fields and create a new one by clicking Create new data field$. In my example, I would like to contact everyone who has bought our Litmus AddOn - so I created the data field "Bought Litmus". When the data field has been created, the Ubivox system is ready to handle the recipients. Before you start the process, you have to have your recipients (or customers) gathered in a file that you can open in Excel, e.g. in a CSV-format. 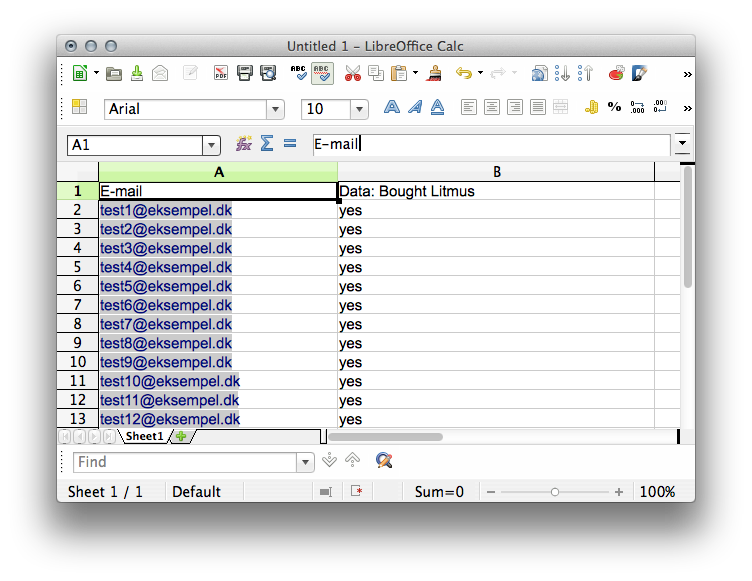 Open your file in Excel and add a column; give it the same title as the data field that you have just created. Now save the file in Excel-format. Then it's ready to be imported into Ubivox. 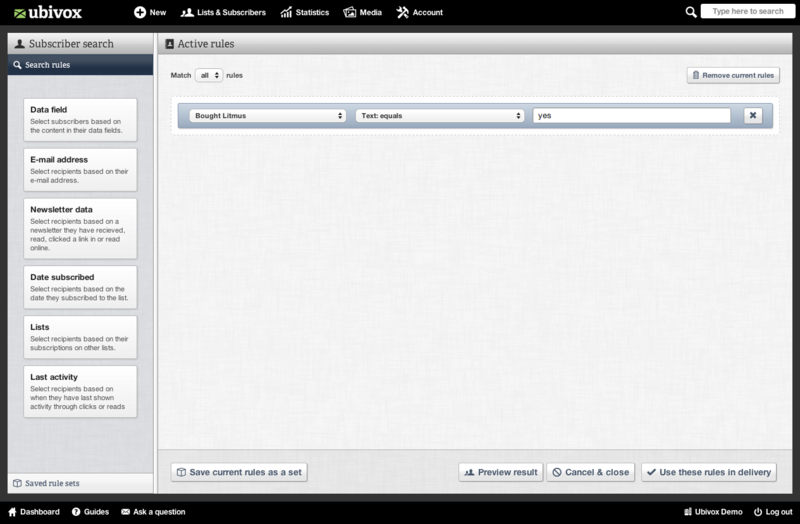 Go to the Ubivox import function, which you'll find under Lists & Subscribers -> Import, and upload your file. 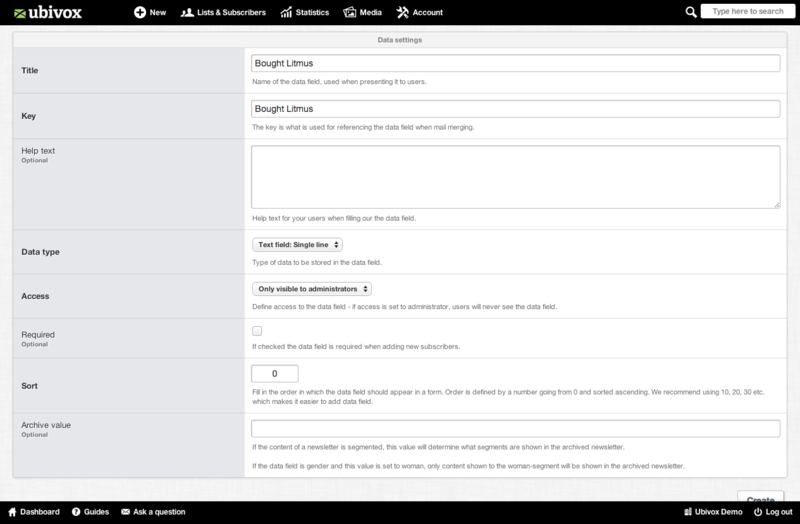 Select that you want to update your recipients' data; Ubivox should automatically match your new column with the new data field. When the import is done, you can now prepare to send your newsletter to your new segment. 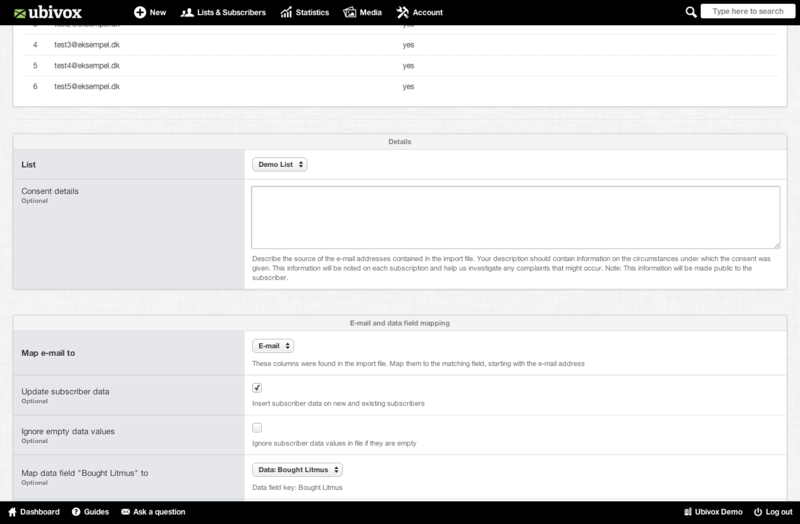 In the sending-process, in the third tab, you can choose your segment using your new data field. In the example above, the newsletter will only be sent to the people that bought our Litmus AddOn.